I am just now in receipt of the 1941 Black Widow Luger rig. 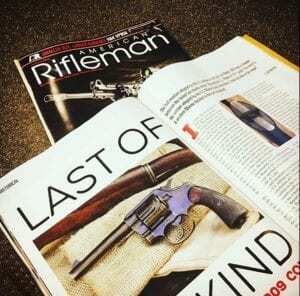 The quality and condition of the gun, holster, tool and magazines are simply superior and at least a 98 plus rating as you stated. I would rate the entire rig as museum quality. The 1941 dated holster appears almost unused. I thank you very much for selling these items to me. The staff services at Pre98 are also outstanding. I’ve bought equally pristine pieces from Pre98 and the only thing better than their vintage firearms is their customer service. Great guys and soooo knowledgeable. 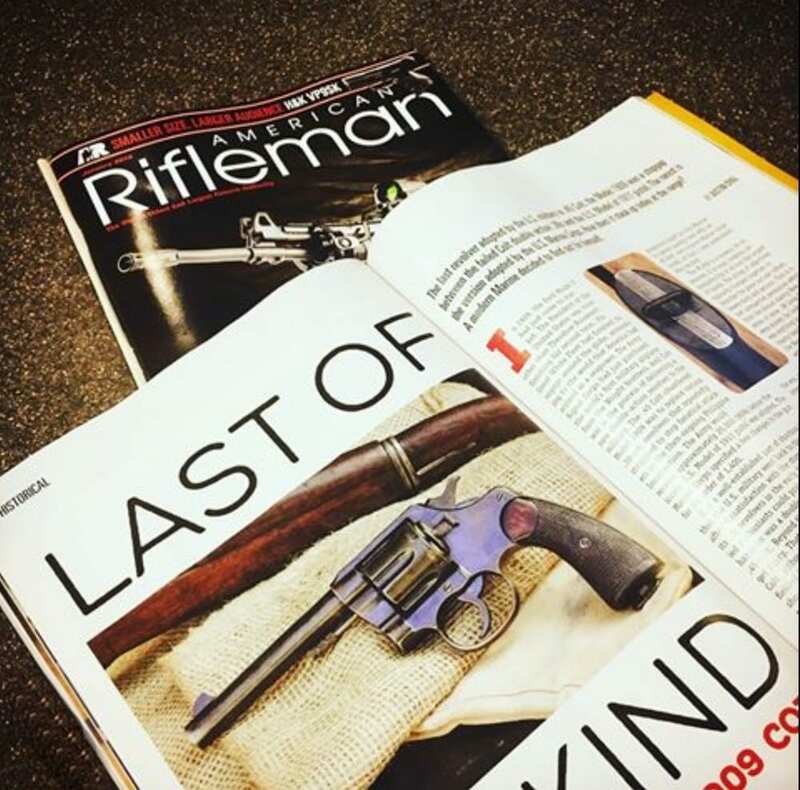 One of the more historic, and prized guns, a 1909 Colt USMC, that we sold to one of our terrific clients, was featured in American Rifleman magazine January 2018 issue. My sincere thanks on the Garand. Can’t wait to hold it. If you ever get to northern Illinois I’d love to take you to dinner! These firearms are just magnificent. My wife is excited too because we have identical 17 year old twin young men (not boys anymore!) and they are firearm enthusiasts and hunters. So safe and responsible…it’s great to know that they and their friends by the dozens are 2nd Amendment and Conservative supporters. The news makes one presume that blue state residents could not possibly fit that profile. The news is wrong!! The Baby arrived safe and sound – what an outstanding example! Really top-notch and worth every penny. 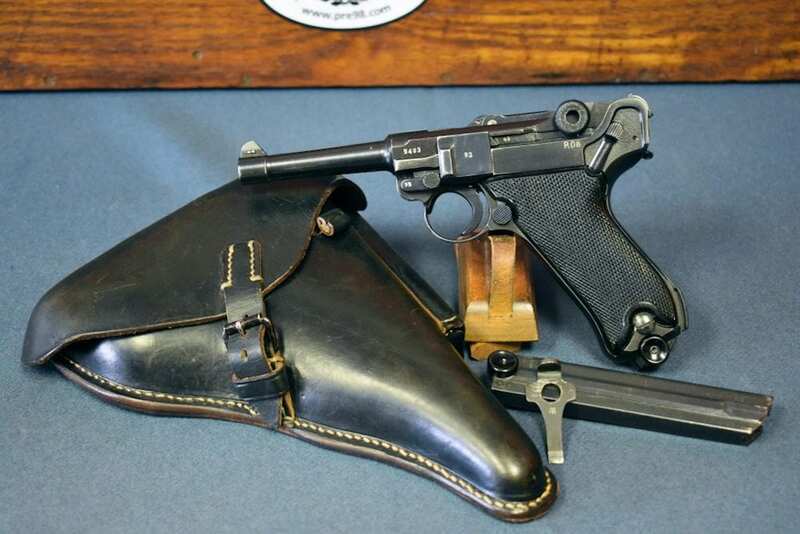 I just received the order I placed yesterday for the Mauser HSC. I want to start off by saying how impressed I am with your customer service. I believe the success of any company depends on that,you guys exceed it!!! I now want to talk about the gun. It is more than I expected. I can’t tell you how pleased I am.The only thing I can say is that I will only deal with your organization for my future collecting needs.